Our entry for the second annual Zombie Safehouse Competition considers the necessities of life for a small community beyond the initial zombie outbreak. Where would we live? How would we protect ourselves? With what would we feed and hydrate ourselves? Most importantly: how would we survive? 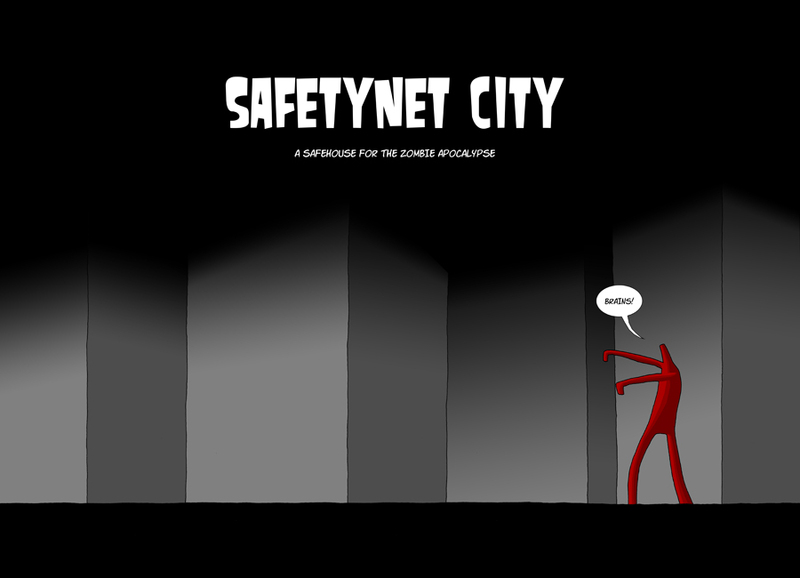 Explained via a short graphic novel, SafetyNet City offers not only sanctuary, but a place of beauty, a revitalised landscape to substitute the decimated, zombie-infested old. Growing organically from the still-useful infrastructure of dead cities, it begins afresh, a new life in the safety of the sky. Until entries are uploaded onto the competition website, view our entry at the Mihaly Slocombe website, here. Thanks for the feedback. Very much looking forward to seeing our competition! un-frickin believable work W!! the story, the ideas, the detail.. seriously, it’s outstanding.